To continue on our path of growth MMT have appointed Phil Wilson as UK Sales Manager based in the Banbury office. Phil will work to further strengthen and grow MMT’s position in the UK establishing and building long-term trusted relationships with new and existing clients as a key supplier and partner of choice. Phil has a proven track record as a technical sales and business development leader gained in the marine and offshore environment, working in the energy, construction and earth & marine sciences sectors. He brings a wealth of experience and knowledge on geophysical, geotechnical, environmental and metocean survey gained through previous engagements with marine survey, dredging and construction contractors. He joins us from Baker Hughes, where he was responsible for business development and sales of geomechanics and reservoir consulting services. 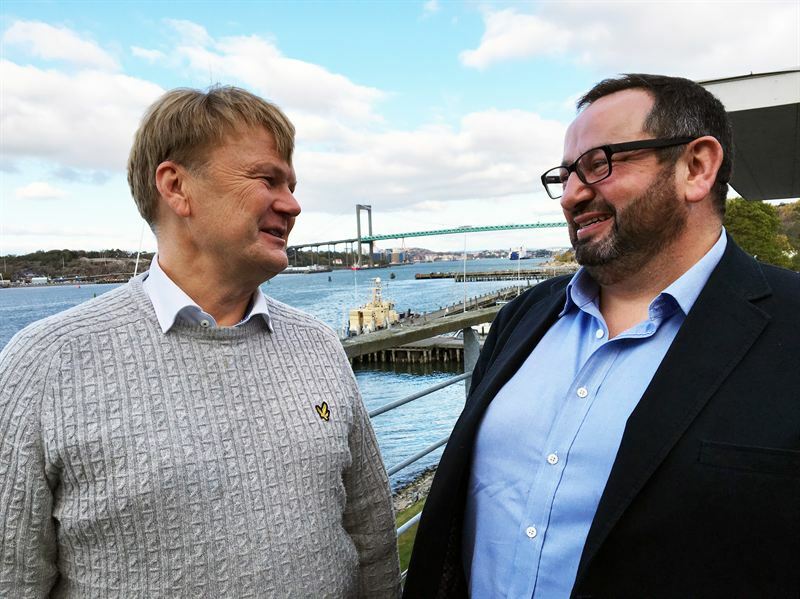 Stefan Eliasson, CEO at MMT, comments: "I welcome Phil and with his extensive experience from our core business, large network and sales skills, we look forward to work with him to expand our presence on the UK market." Caption: Stefan Eliasson, CEO, MMT (to the left) and Phil Wilson, UK Sales Manager, MMT (to the right), ©MMT. Phil Wilson comments: ‘It is great to be back working in marine survey sector with the dynamic MMT team who bring a wealth of knowledge, expertise and innovative thinking as well as a clear ‘can-do’ attitude to their clients. I look forward to meeting with our key customers over the coming months and playing a leading role in the driving the MMT business forward in the UK." Phil Wilson will be attending Offshore Energy in Amsterdam on the 25 & 26 October so you will have a chance to meet him there. To contact Phil, click here.